This is it, folks. The concluding paragraph of my dissertation. It’s a bit melodramatic, like my own self. On to new adventures! A full account of theoretically informed, activist, digital archaeology is beyond the confines of a single dissertation. It is a collective effort, forged by a community of passionate, informed, critical makers in archaeology. This community has been built through the strange intimacy of social media, during sessions at academic meetings, and by friendships that can only form in grubby trenches. As archaeology intermingles with new media, visual studies, materiality, and other interdisciplinary forces, encountering 3-D printing, augmented reality, and other polyvalent digital artifacts, my contribution to this community is a sounding-board to facilitate critical discussions in the field. The tradition of craft in archaeology has been brutally squandered; as the de-skilling and devaluation of archaeologists continues through the culture of academic underrepresentation, lack of training, and a world-wide paucity of funding for cultural heritage, recognition for the origin of archaeological data and its relative reliability has dwindled. Even as complex network analyses of migratory patterns, massive relational databases, and vast 3-D reconstructions of Roman cities are created, the underlying data relies on the skilled labor of craftsmen and craftswomen in archaeology. A better archaeology is a participatory, multivocal, craft-based archaeology that recognizes the value of both dirt and digital archaeologists. Using digital media to highlight inequity, to bring the voices of stakeholders into relief, to de-center interpretations, and to make things and share them is a gift to archaeology, and a threat, and a promise. Sorry to post yet another abstract, but the American Anthropological Association has come to San Francisco and I’m presenting in a fantastic panel titled, Sharing Anthropology: Theorizing Anthropological Research in the Age of Social Media. All of the rest of the presenters are anthropologists (except for Ryan Anderson, who is a sneaky former archaeologist) so I’ll be one reppin’ the field. Clean. Draw. Photograph. Level. Record. Dig. Sample. Sort Artifacts. Share. Archaeologists are increasingly recognizing the benefits of an online presence. Field school blogs and project Facebook pages have become standard outreach fare. Yet this outreach is often an afterthought, relegated to undergraduate students and rarely cultivated as a legitimate expression of archaeological research. I argue that unless digital sharing moves beyond a rarely-updated Facebook page and is integrated into all aspects of archaeological practice it will always be considered an illegitimate by-product, remaining at the fringes of our profession, a poor shadow of the potential that digital outreach has for communicating with the public. This integration involves disrupting our professional customs to re-frame our research in terms of expressive, teachable moments. Contrary to the opinion that sharing at an intimate level would compromise our research, I argue that sharing can introduce reflexivity into the archaeological process and increase multivocality among project participants. Creating a digital ecology wherein archaeological research is made available “at the trowel’s edge” and rewarded as a legitimate undertaking is risky, unpredictable, and utterly necessary to usher archaeology into the digital age. 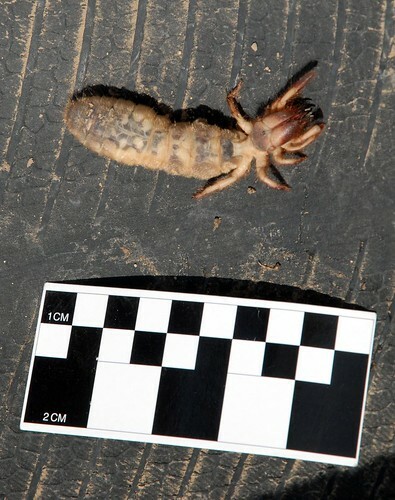 Author colleenmorganPosted on November 10, 2012 May 9, 2016 Categories Archaeology, field work, TexasTags Archaeology, field work, Texas2 Comments on Bug Stories.